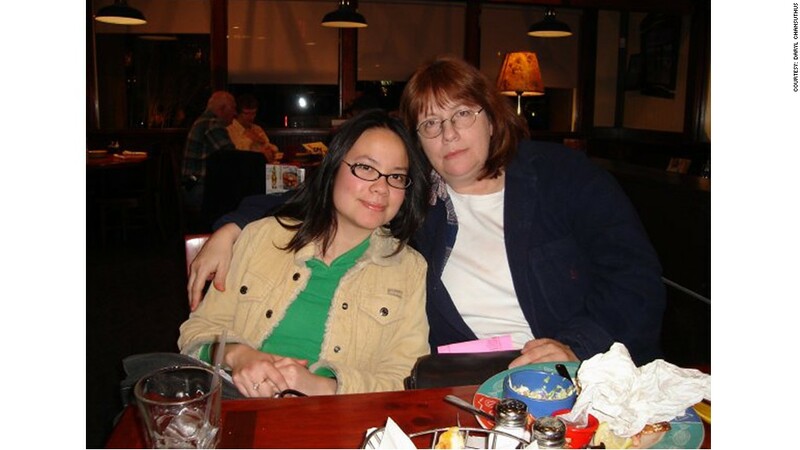 Daryl Chansuthus (right) with daughter Hasaya "Seyde" Chansuthus, who was 25 when she died in a car crash when her Chevy Cobalt hit a tree. Families of car crash victims tied to General Motors' recalls said CEO Mary Barra struck the right tone, but they still have many unanswered questions. Several families of the victims watched Barra in a GM (GM) broadcast Thursday, as she detailed findings of an investigation into defective ignition switches on Chevy Cobalt cars that led to deaths of at least 13 people. Among those keenly listening was a grieving Daryl Chansuthus, whose daughter Hasaya "Seyde" died when her Chevy Cobalt hit a tree in 2009. Once again, the mother was moved to tears as Barra pledged to make GM cars safer. However, Chansuthus pointed out that rather than take responsibility for the root cause of the car crashes -- the faulty ignition switches that shut down the vehicles -- Barra once again focused on the airbags that didn't deploy in the accidents. That's because GM's list of 13 confirmed deaths includes only those in the front seat of cars whose airbags didn't inflate. "The safety features wouldn't have been an issue in the first place had the car not shut down," Chansuthus said. Her daughter Seyde is counted as one of the victims, because her airbag failed to deploy and her seat belt failed to lock. However, there are others who also died in Chevy Cobalt crashes from the faulty switches but aren't counted by GM as victims. 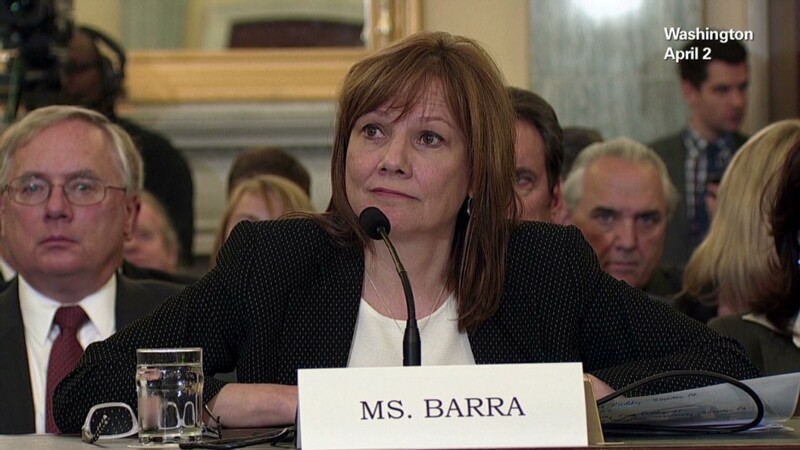 Chansuthus was among families who met with Barra face-to-face on March 31 in Washington and was "underwhelmed" at the time, as Barra wouldn't acknowledge GM's role in the deaths. This time, Chansuthus was more appreciative of Barra's tone. Laura Christian, another victim's mom, is skeptical of GM's efforts. Christian is birth mother to Amber Marie Rose, who died at age 16 in 2005 after her Chevy Cobalt crashed into a tree and the airbag failed. Christian, a former federal investigator who has helped organize and connect families of victims, questioned the independence of the investigation that General Motors paid for. "Can we really rely on their findings?" she asked. Ken Rimer said he was glad to see a big shakeup at the big automaker and see the company take more responsibility for the defective switches. His stepdaughter Natasha Weigel died in the back seat of a Chevy Cobalt that hit a tree in 2006. "Evidently, they got away from making good quality American cars for American public," Rimer said. "This (report) is a step in the right direction, but I want to see more details." He and other family members were skeptical of Barra's claim that there was "no evidence" employees "made a tradeoff between safety and cost." Several families said they want to see proof backing up Barra's assertion. The families said they were also disappointed there were few new details on GM's efforts to compensate victims. Families will soon face a tough choice ahead. Kenneth Feinberg, the attorney charged with crafting the plan to compensate victims, has in the past given out disbursements only to victims who gave up their rights to sue. Rimer said his family is leaning toward not participating in the victim's compensation fund, because there are early indications that the fund isn't going to "fair and adequate" for their loss.